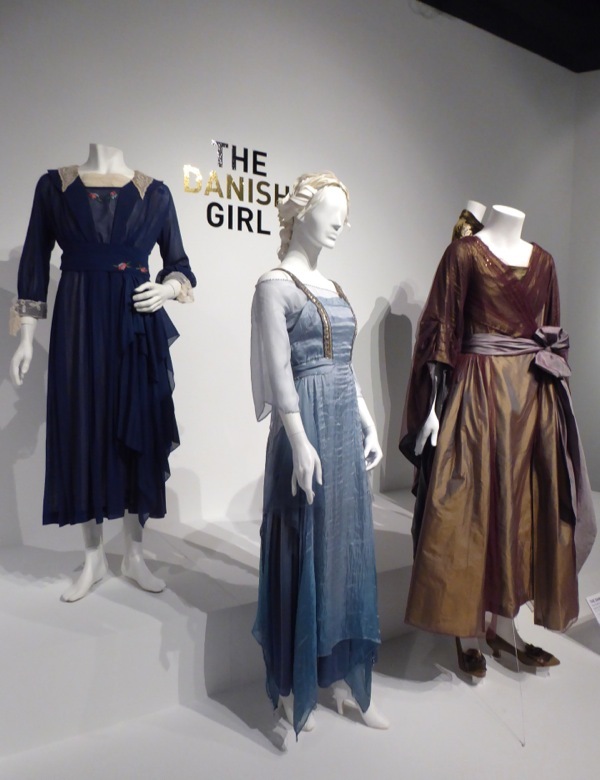 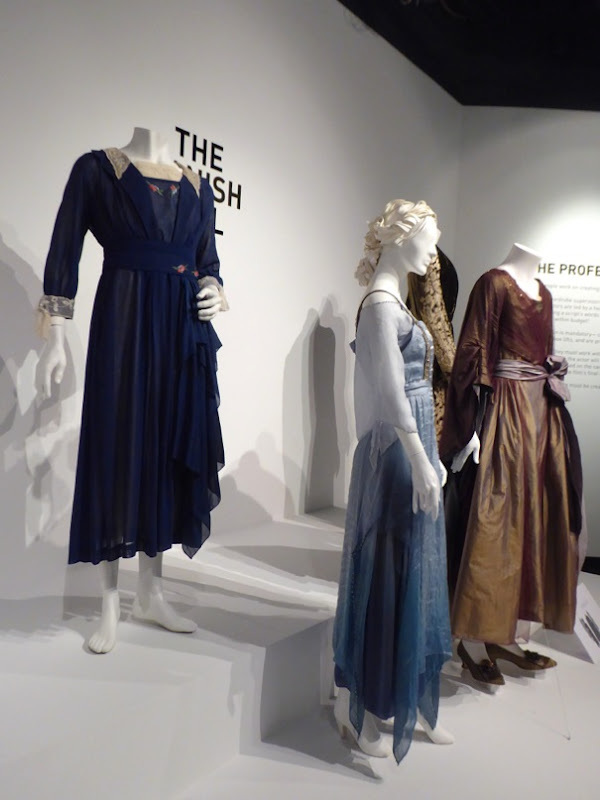 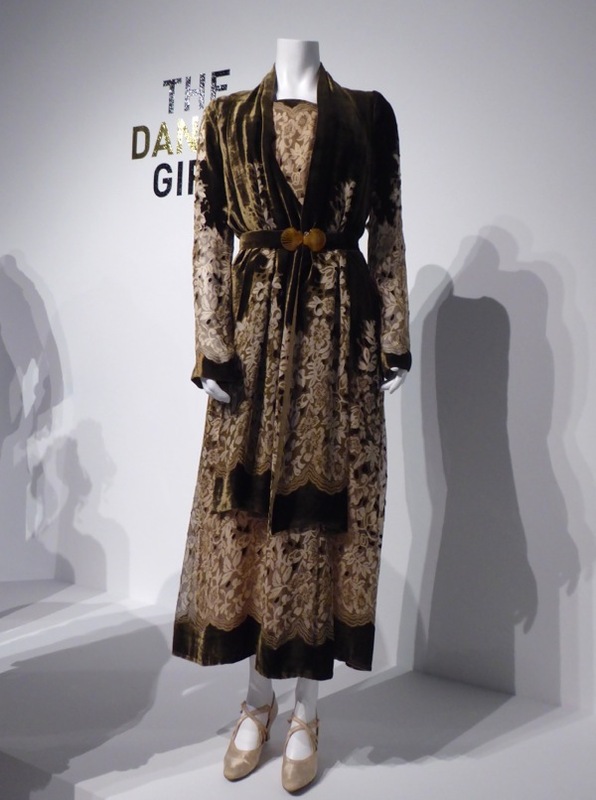 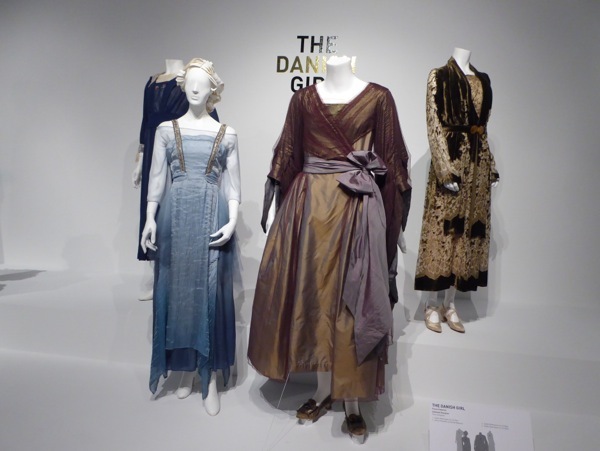 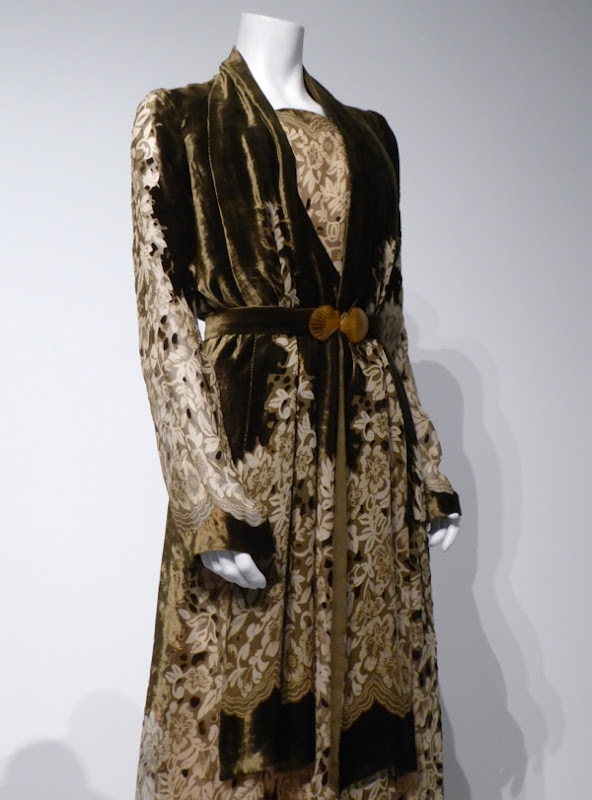 Paco Delgado is another of this year's Oscar-nominated designers showcased at the 24th Art of Motion Picture Costume Design exhibition at Downtown L.A.'s FIDM Museum, and these four fabulous outfits from The Danish Girl were on display on February 12, 2016. 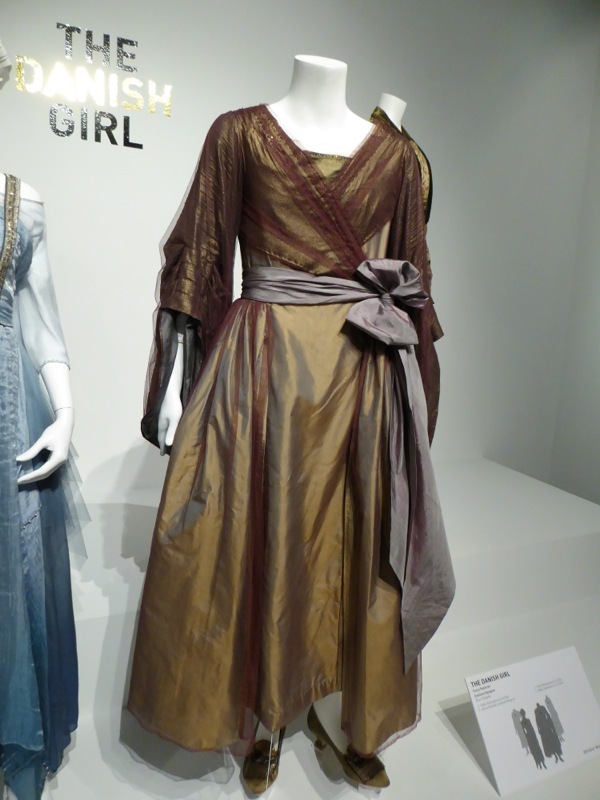 Under normal circumstances costumes are really important for helping actors get into character and this is especially so in Tom Hopper's film, as the Costume Designer was dressing a male actor (Eddie Redmayne) playing a transgender woman expressing herself through what she wore. 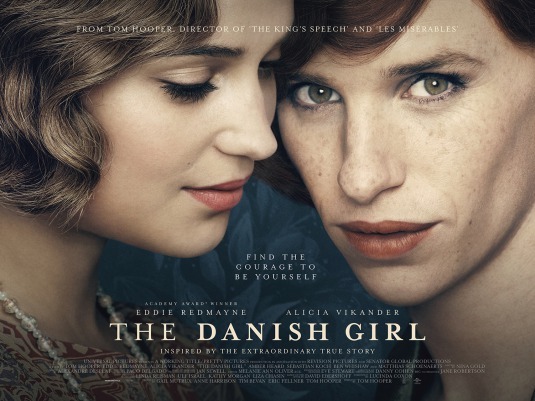 The film is inspired by the true story of 1920s Danish painters 'Einar and Gerda Wegener', a married couple whose lives change when Einar decides to identify and live as a woman, 'Lili Elbe', and undergoes one of the first pioneering gender reassignment operations in 1930s Germany. 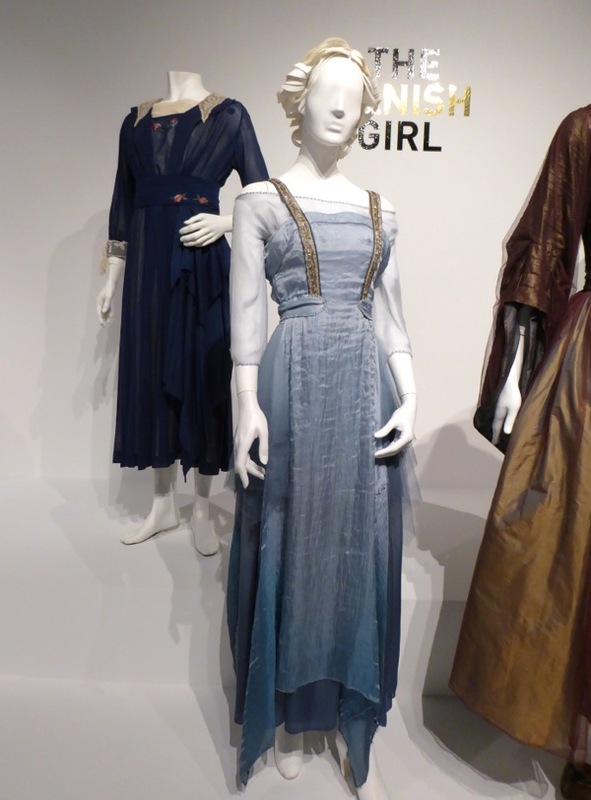 Apparently some of the challenges for the designer included Eddie Redmayne's height (especially exacerbated in heels) and the fact that women were more petite and their fashion in the 1920s didn't really have a waist, and yet they wanted to help create this sense of femininity in the shape and look of the character. 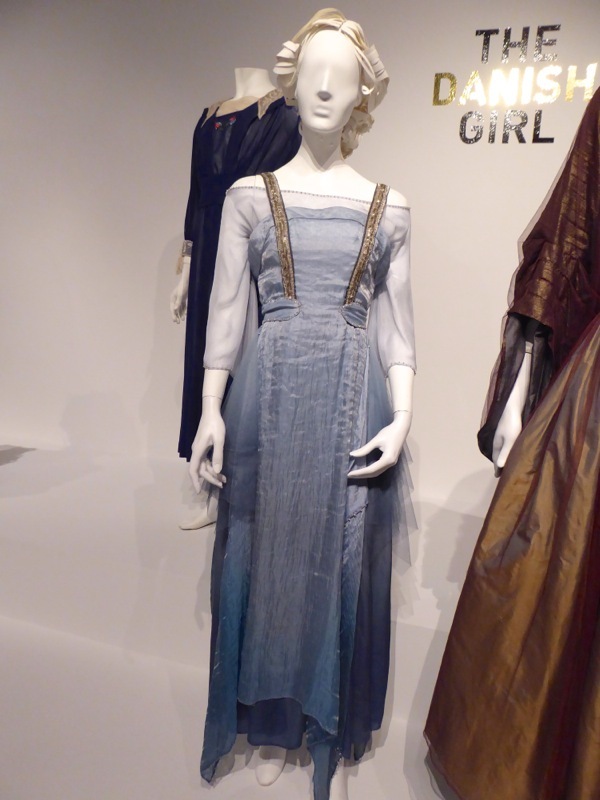 Obviously the right makeup and wigs courtesy of Jan Sewell also helped create the overall look, alongside Eddie's compelling performance. 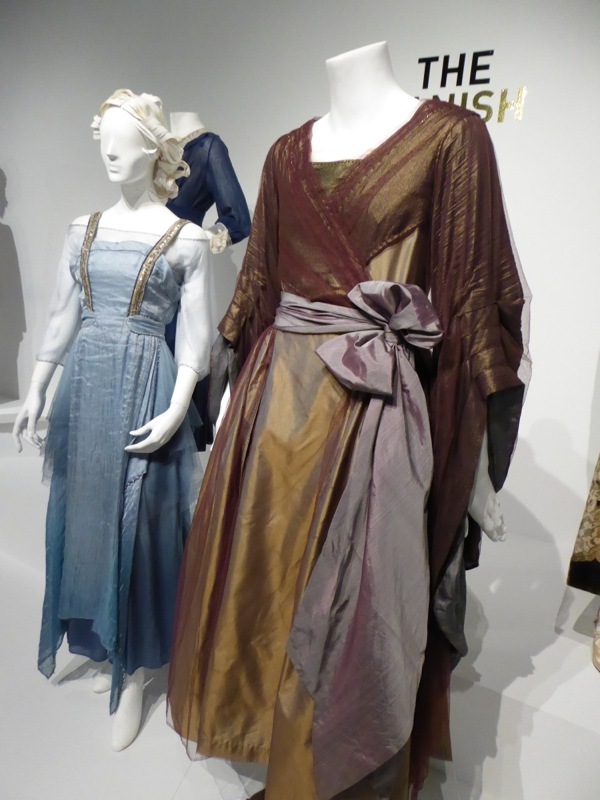 Paco Delgado also designed Eddie Redmayne's Marius costume in the Les Misérables movie, plus if you're a fan of the actor, be sure to also check out his costumes and props from The Theory of Everything. 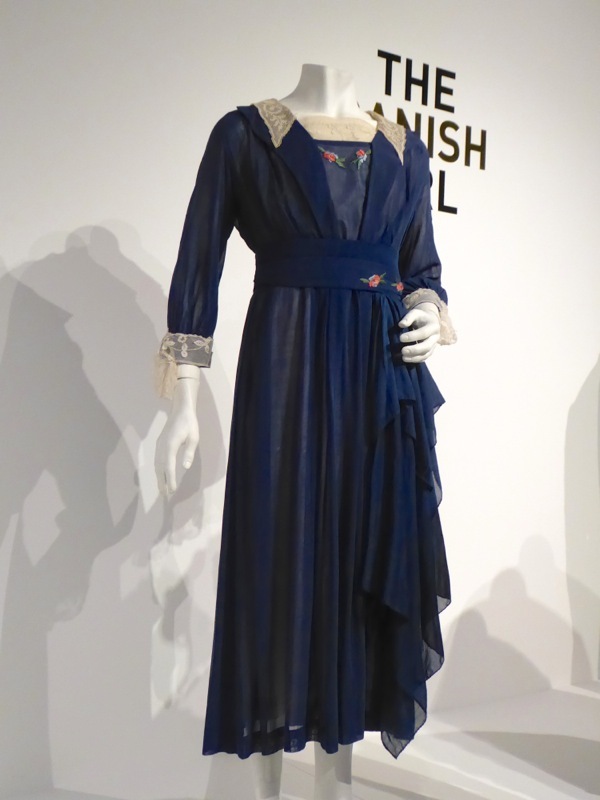 In the touching movie Alicia Vikander also gave a stellar performance as Einar's understanding wife, Gerda, and she wears this blue dress at a party when her husband pretends to be her female cousin in one of her first public outings as Lili. 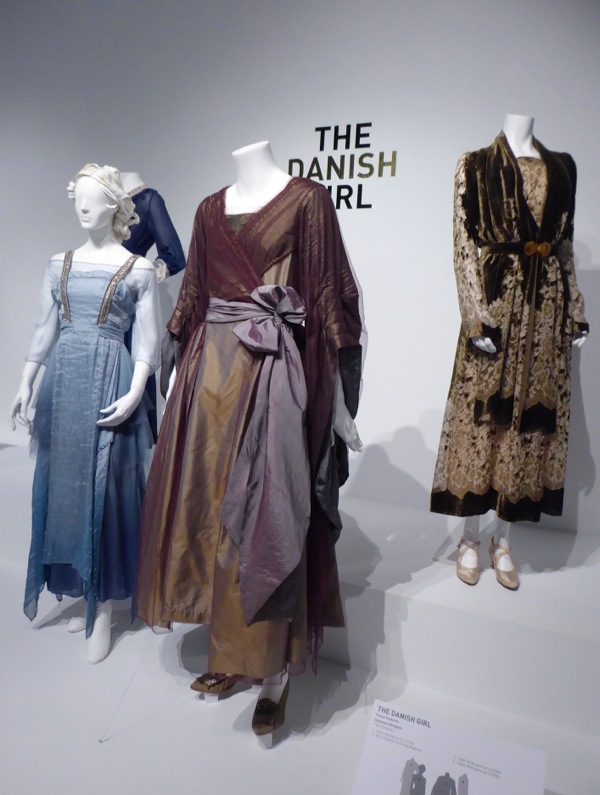 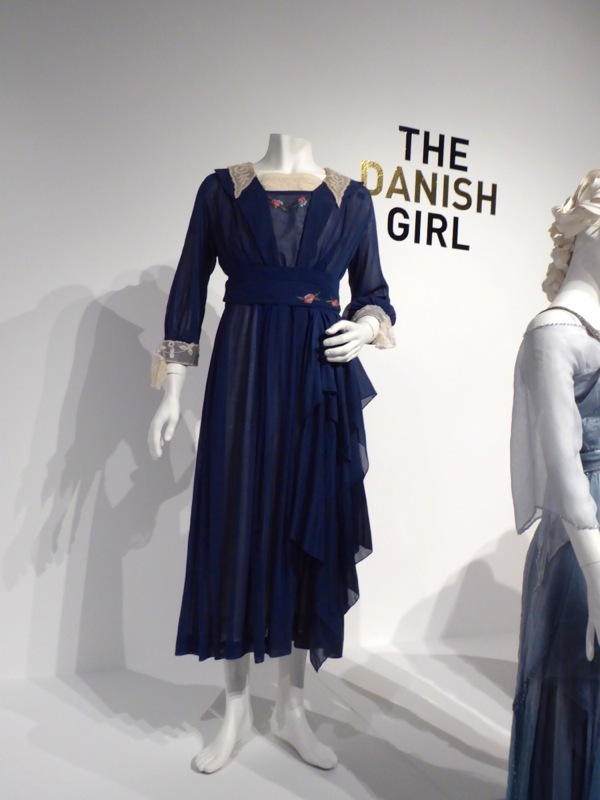 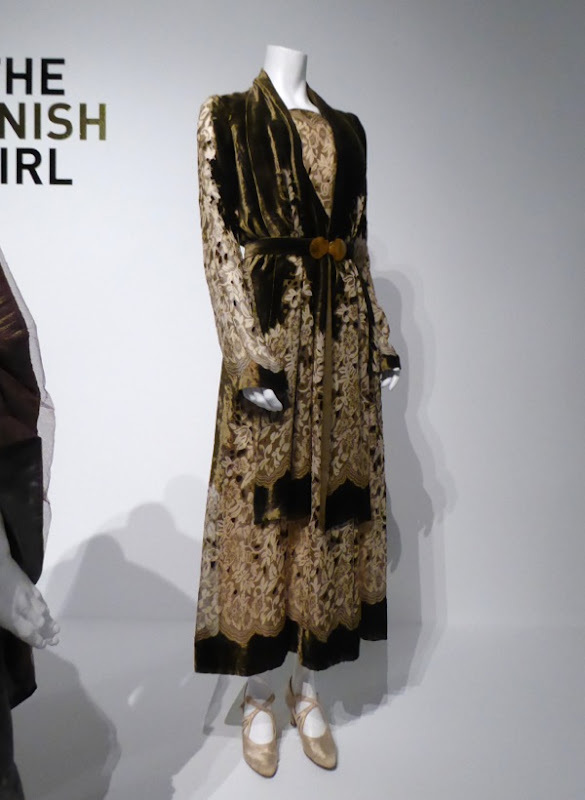 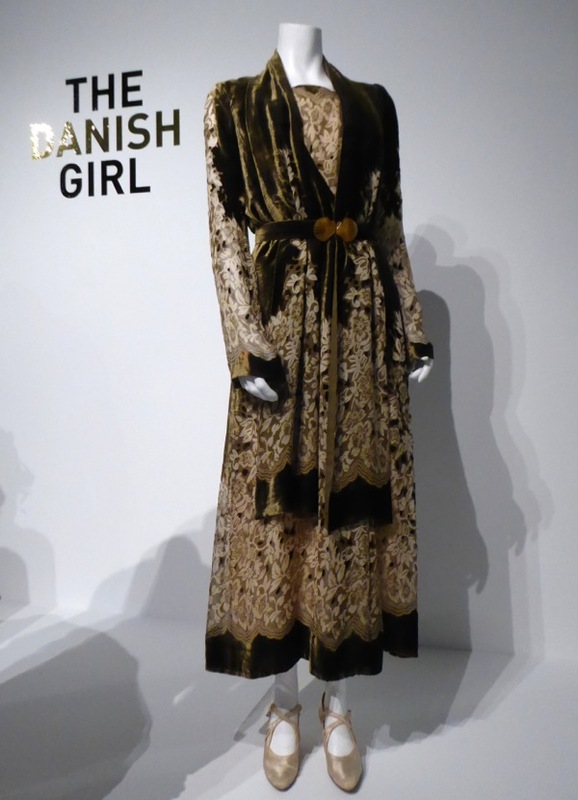 If you like these recreated 1920s looks (which are so nice to see out of the confines of reflective display cases), be sure to also check out these other costumes from The Danish Girl that were on display in L.A. cinemas when the movie was first released. 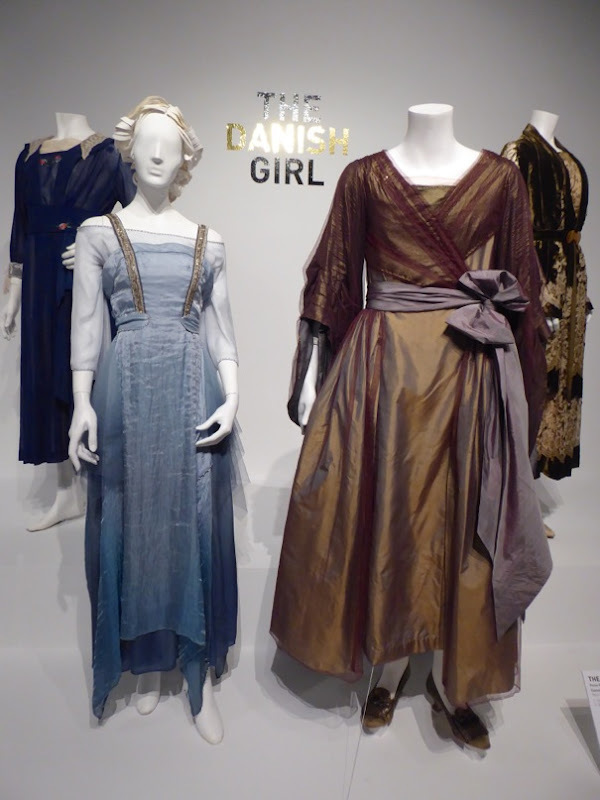 With the film up for four Oscars (understandably as it moved me to tears and was one of my favourite films from last year), for Costume Design, Best Leading Actor, Best Supporting Actress and Best Production Design, let's see how many golden statuettes The Danish Girl can bring home come February 28, 2016.